Now is the time for all MMM participants who have not PH to go and hit the PH button. This morning, MMM Nigeria released part of June/July Mavro but due to massive GH requests the admin have to cancel/hide these GH requests. 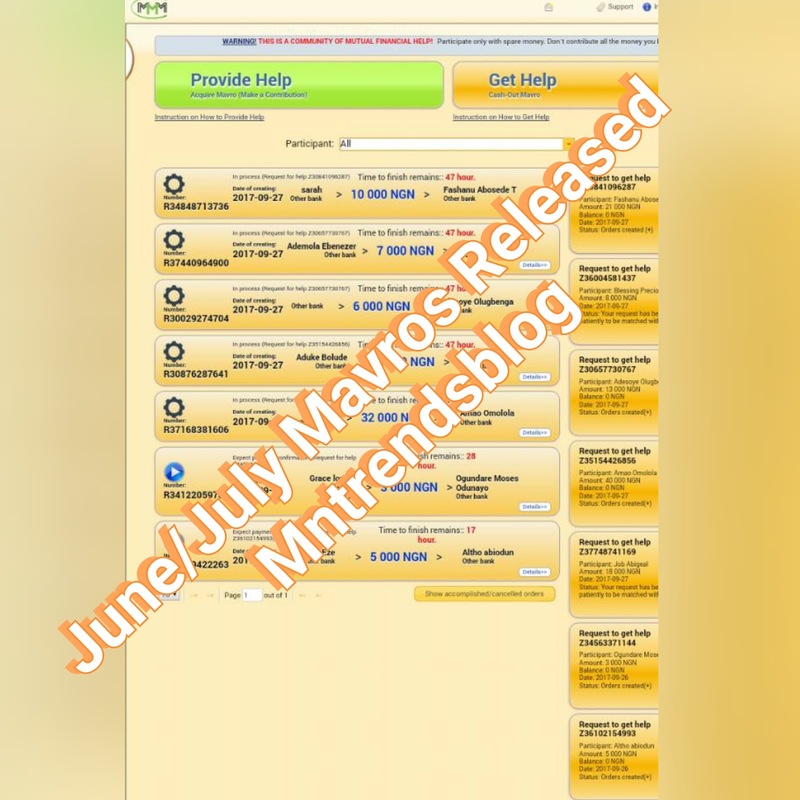 The news of the June/July Mavro release has been lingering for a while now, but this new development just proves that MMM is really going to keep to their words about June/July Mavro release. But this also time for all members of the MMM community to work hard. For a fact, the release of these Mavros is purely based on the increase in PH volume in the system. So if MMM Nigeria members can PH some more into the system, it will aid the quick recovery and release of all June/July Mavros. There are various way one can contribute to the growth of the MMM community to facilitate the release of Mavros June/July. One can start by participating in promo tasks and bringing new members into the system. Another way is by personal PH into the system no matter how little. MMM admin is working and this is evident from what is happening in the platform. But if you need a system that works for you, you also have to work for the system in return. So go and hit the PH button, bring in more members and see that everyone will be smiling home every seven days. Subscribe to our newsletter and get the latest news update on MMM and Bitcoin everyday.